In Eating For Beauty, author David Wolfe, one of AmericaвЂ™s foremost nutrition experts, describes how to cleanse, nourish and beautify by utilizing the benefits of a fresh-food diet. The lessons contained within this book can be applied to improve oneвЂ™s appearance, vitality, and health. This book is about how to become more beautiful, not just how to maintain beauty or even slow the aging process. It is about rejuvenation at the deepest level, and the enjoyment of life. This book contains the key for creating beauty within oneself through diet and other complementary factors. 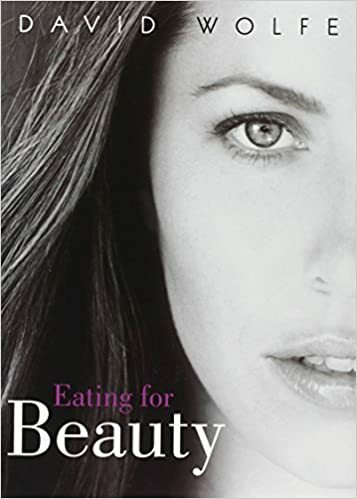 Though it explores the role of yoga, beauty sleep, and the psychology of beauty, this book is primarily about the way to eat for beauty. The Beauty Diet is based on principles of raw nourishmentвЂ”representing the cutting edge nutritional science. With scientific explanations of the human bodyвЂ™s chemical reactions to various elements of nutrition, physical activity and sleep, this book provides a guide for how to reach your potential for beauty. More than 30 gourmet вЂњbeauty recipesвЂќ and in-depth descriptions of beneficial foods help to steer beauty-seekers down the path of aesthetic enlightenment. The magical, beautifying secrets held within this book will help the human race reclaim one of its most divine attributes: beauty, inside and out.